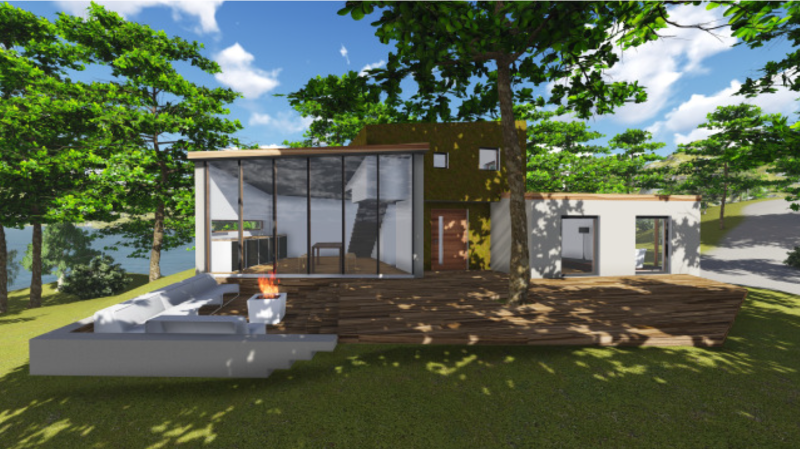 The University of Wageningen came to Bouwkundewinkel with a multidisciplinary assignment, in which they asked for a design of a so-called living lodge. This is a movable sleeping accommodation which not only serves, but also attempts to improve the ecological system of its surroundings. When the ecological values then reached a sufficient level, the lodge will be moved to a new location with the same mission. Bouwkundewinkel added a duo of TU/e students to the two teams which were already working on the project in Wageningen. These students investigated the suitable construction techniques and material use of this moveable living lodge. Here, not only design, but also the research of existing results and communication with the other teams was of great importance. In the end, the duo came up with six designs of the living lodge, of which one is shown in the picture.